There are many benefits to the spinal decompression and herniated disk treatment services that we offer in our Fridley office. Learn more about exactly what the procedures entail, and why patients seeking spinal decompression in Moundsview, Blaine, Columbia Heights, and New Brighton have all chosen Dr. Hebeisen for their chiropractic, herniated disk, and spinal decompression needs. Do You want to Avoid Back Surgery? It can change your life forever. 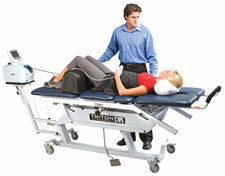 ˜ Every Spinal Surgery Case approaches $100,000 or more when combined with MRI's, Medications, Rehab and Disability. We deliver amazing results according to patients who tend to fall asleep during the painless treatments. We have clients not just in Fridley that can attest to this - patients seeking herniated disc and spinal decompression in Moundsview, Blaine, Columbia Heights, and New Brighton come to Dr. Hebeisen’s Fridley office for these highly beneficial treatments. Advanced Health PA is conveniently located near 694 and Hwy 65 in Fridley and we are only 10 miles from downtown Minneapolis. Call Today for a No Charge Consultation 763-571-9499! Change Your Life for the Better without Surgery.